Pastors Lynette and Darin Gleghorn offer Cowboy Church services in Lucerne, Colo.
Glen Smith and his wife Ann started International Western World Outreach Center, otherwise known as Rodeo Cowboy Ministries, in Midland, Texas, in 1973 after God showed him in a dream that He wanted him to begin a ministry to reach out to rodeo cowboys and share the gospel with them. 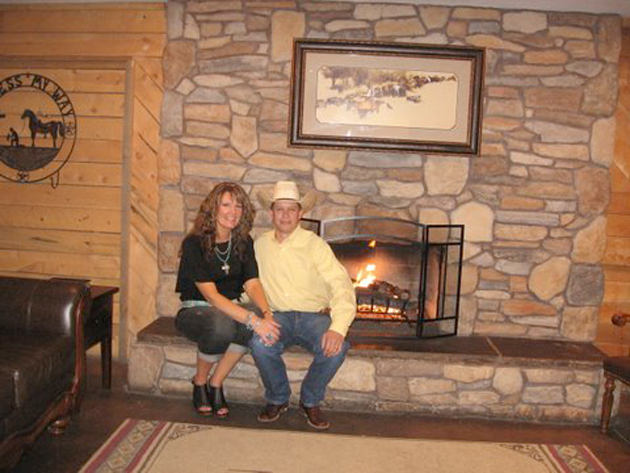 Pastors Darin and Lynette Gleghorn began the Northern Colorado Cowboy Church in a rented room of a large church in Fort Collins, Colo., in 2004. When they outgrew that room, they moved to a barn near Eaton and by 2007, 300 people were worshiping there. In 2009 they bought a restaurant building at the intersection of Highways 392 and 85 in Lucerne. With mostly volunteer labor, it has been turned into a very functional church, but what makes it truly a church is the people who lead and worship there. We arrived early for the second service to find the parking lot nearly full. Starting at the door, greeters met us with a smile and warm handshake. The warm welcome continued as we made our way to the huge room where about 500 chairs were quickly filling up. It was fun to watch as people of all ages carried on conversations; genuinely happy to see each other and concerned about how they are doing. As the worship team began to play and sing, the congregation joined in, many raising their hands to praise the Lord. When the pastor began to speak of Spiritual revolution, it was in a “tell it like it is” Cowboy style, right out of the Bible. This genuine down to earth preaching is what brings people from miles around, filling the church for two services. Tuesday night is a time when cowboys traveling to rodeos can stop in to hear a message from Pastor Darin. Several people told us about the many men’s groups, women’s groups, and a monthly potluck with a lesson for older folks. There’s a nursery for little ones, kids’ church, and a youth group. Even though the pastors had a meeting, they graciously took time to talk with us. They didn’t act rushed as they looked straight into our eyes and answered questions. To learn more about NCCC, call (970) 214-4649 or email: cowboychurch_777@q.com or their website at http://www.norcocowboychurch.com. Sermons can be downloaded at http://www.sermon.net/N3C.